Matthew joined the Public Law Project (PLP) as a pupil barrister in September 2017. During Matthew’s Fellowship, he will spend the first year as a pupil and the second year as an employed barrister at PLP. After graduating with a degree in History from the University of Sheffield, Matthew completed the GDL and the BPTC at the University of Law. During his legal studies, Matthew volunteered for the Free Representation Unit, the PLP, and the Bar Pro Bono Unit. He was called to the Bar by Inner Temple in November 2015. 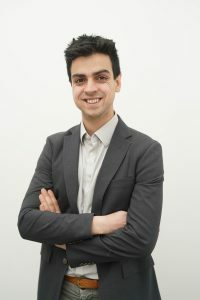 Prior to commencing pupillage, Matthew worked as a Legal Project Manager at the AIRE Centre, where he led two projects advising clients and referrers on EU free movement law issues, focusing on homelessness, social security, and EEA women in prison. Matthew had previously gained experience in housing and welfare benefits while working as a Casework Manager at Z2K, and has written several blog posts and articles on these issues.